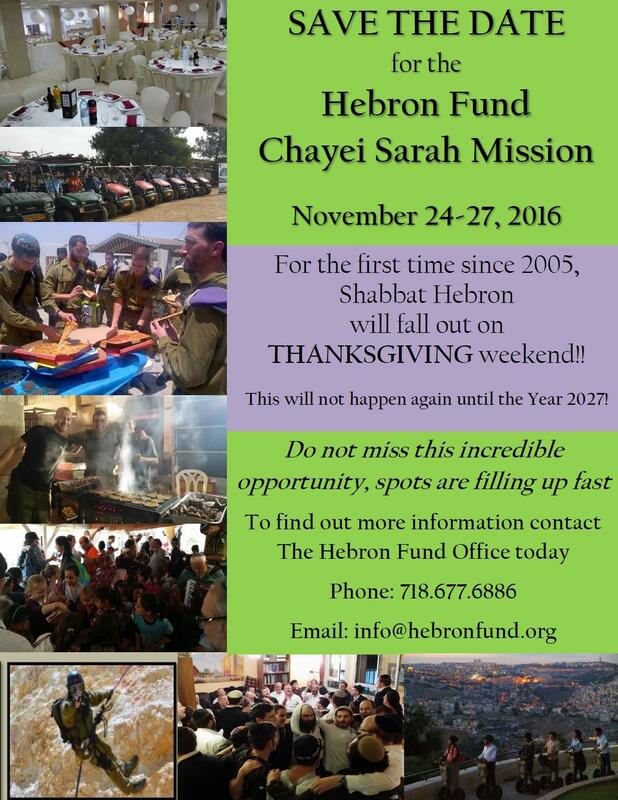 Home » News » Save the Date: Hebron Fund Chayei Sarah Mission! Save the Date: Hebron Fund Chayei Sarah Mission! For the first time since 2005, Shabbat Hebron will fall out on Thanksgiving weekend! This does not happen again until the year 2027! Do not miss this incredible opportunity, spots are filling up fast. Every year thousands of people visit Hebron for the Shabbat of parshat Chayei Sarah. Visit the Tomb of Machpela including the Isaac Hall. To find out more information contact The Hebron Fund office today.